Enjoy living in the exclusive Estates at Buffalo Ridge. This stunning home features a grand staircase and entrance, main floor study, chef's kitchen, four sizable bedrooms and five bathrooms. All four bedrooms have en-suite baths. The master bedroom has it's own fireplace and private balcony with unsurpassed views. The fantastic master bathroom features a custom barn style door, private water closet, large shower with dual shower heads, granite bench, Euro shower door as well as an over sized vanity with double sinks. The master closet has been professionally designed with closet organizers and a center island with a granite top. No detail has been overlooked in this master suite. 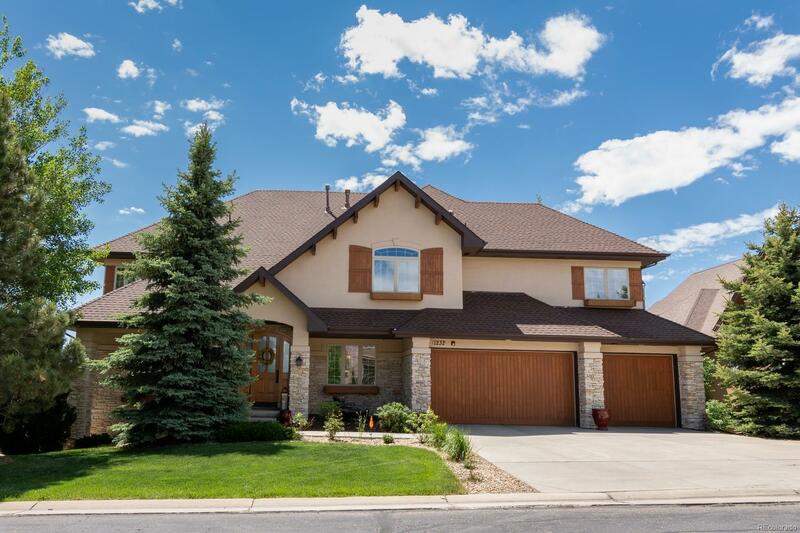 Enjoy life at it's best in the gourmet kitchen, gas range and butler's pantry or on the large back deck that overlooks the golf course with views of Pike's Peak and the front range. Back yard is extensive and waiting for your personal touch with landscaping.